So I went to the gig of the year a few weeks back..no not the Garth Brooks tribute… instead I went to a car park in Waterford. 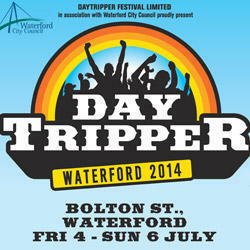 Now when I heard about the Daytripper festival in Waterford I imagined it took place in some large outdoor space…Then I saw the venue online “Bolton Street Car park”…sure it’s the whole street I thought or a really massive car park. But when we got there it was just a regular sized car park. The festival took place over 3 days with Kaiser Chiefs, David Gray and Paloma Faith headlining. Considering the size of the venue, I think they got pretty good acts. We decided just to go Saturday and Sunday so we didn’t see the Kaiser Chiefs. Saturday evening arrived and we were taking in some of the local warm-up acts and who do I see beside me? 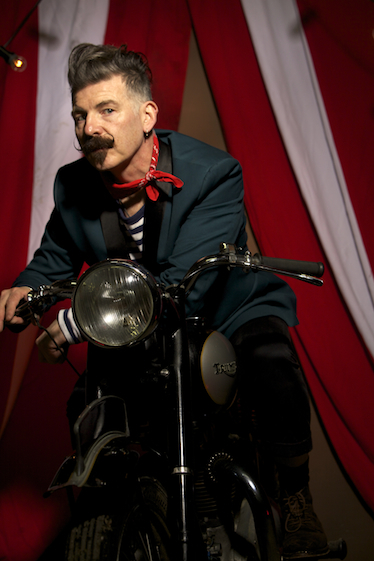 Only Jerry Fish! He was looking very suave and enjoying the local act Susan O’Neill and The Low Standards. I also really enjoyed them, they were having a good time despite the small crowd early on. I really enjoyed their set from their instrumental version of “Talk Dirty ” by Jason Derulo, a guest vocalist in the form of Jerry Fish and “Bad Touch” by the Bloodhound gang cover (complete with rapping!) It was really energetic, fun and not at all what I expected. Then the wait for David Gray began. Despite his huge chart success here I wasn’t aware he was still recording until this summer! We didn’t have too wait too long for him, he’s no diva. David Gray came on with band, backing singers and very little fanfare. He didn’t look half as old as I expected..considering the slightly older fan base that surrounded us. He began with a few of his new songs but I was waiting for the oldies! It was a really beautiful evening and bizarrely enough some kind of drone camera was flying over the crowd taking pictures…. David Gray has always enjoyed success in Ireland and the venue was packed. “Sail Away” and “Babylon” both got huge responses from the crowd but my favourite David Gray song is “This Years Love.” It was amazing to hear it live and really gave me shivers down my spine! I remember hearing David Gray on the radio as a kid around the release of White Ladder and he sounds as good as he did then. I can’t say that about many other songs I listened to back then! The next night we went down to see an artist I have admired for a long time-Paloma Faith. Paloma Faith has a very unique sound, style and character and I was very excited to see her! We stayed around the main stage awaiting the warm-up acts Cathy Davey and James. Cathy Davey had a really rousing set and seemed very chill on stage. I think Cathy is hugely underrated and really enjoyed her songs especially “Rueben” and “Sing for your supper.” Cathy’s whole band and back-up singer seemed really talented and the crowd loved their performance. After a lot of fanfare Paloma eventually came on and I was dying to see what she looked like. 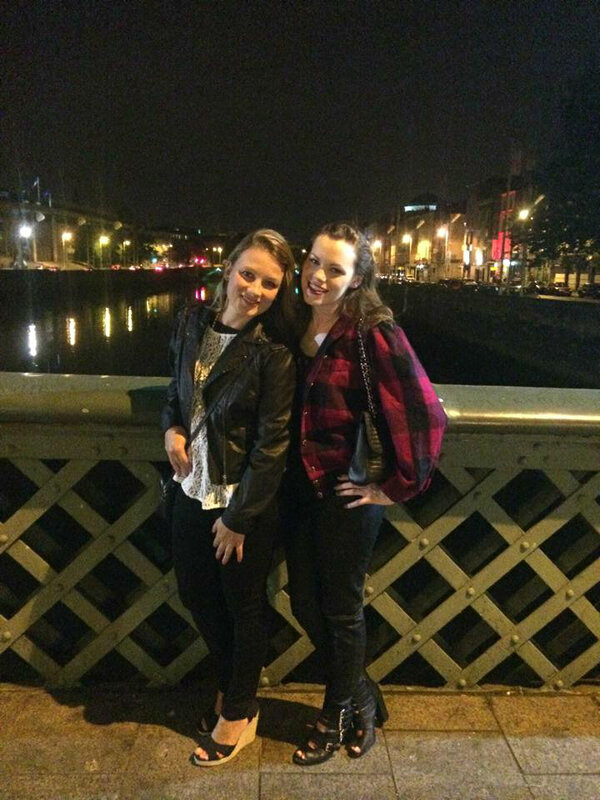 She changes her hair a lot but she was blonde in Waterford. She had on a skintight metallic dress, silver shoes and her trademark headpiece. Paloma’s dress is by a designer called Hasan Hejazi. I thought she looked gorgeous although her dance moves in the dress threatened to reveal too much at times! She is certainly a born performer as she danced, jiggled, gestured and flirted her way through her set. She twerked, crawled on top of the piano and lay on the ground at various points! Paloma has a dance and drama background its not surprising she puts such an emphasis on production. She was very witty in her interactions with the crowd and self-deprecating saying “My record label wanted me to break America but now I’m playing in a car park in Ireland!” She also proclaimed “I’m glad to see socialism is alive in Ireland ‘cos I’m a socialist and I’d be on the wall with you!” when she saw the onlookers on the wall. Paloma performed a string of hits old and new. I wasn’t sure if I liked her new material but hearing the new songs live gave me a greater appreciation of them. Highlights included Only love can hurt like this which Diane Warren wrote. For someone who seems so fun loving it’s hard to believe Paloma has so many sad heartbreak songs. As well as her theatrical antics, Paloma’s vulnerability in her songwriting is a large part of her appeal. Picking up the Pieces was another song I wasn’t as familiar with but once I heard it live I was hooked! (I couldn’t find a video from Daytripper so here she is performing it in the UK). The one disappointment was that Paloma didn’t perform an encore and I was really hoping she would perform “New York” . 😦 I would’ve loved to hear New York live as its a personal favourite. 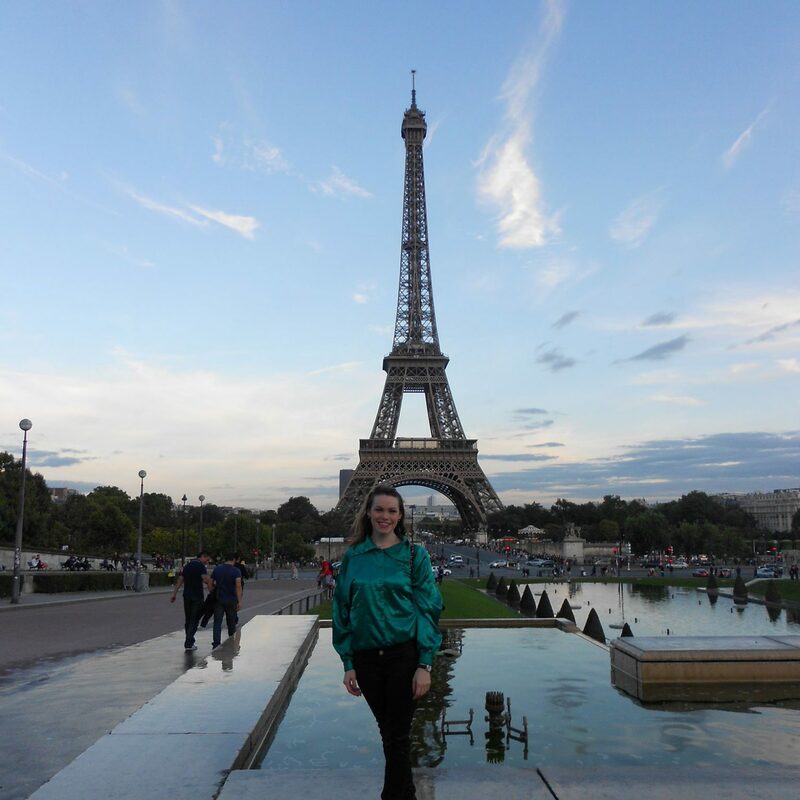 While I was down in Waterford and Wexford I did a little sightseeing. On the way down I saw Johnstown Castle and gardens in Wexford which was so gorgeous and only €5 entry. All in all I had a great weekend down South! I hope this festival can get bigger and better as this is only it’s second year running. If anyone went on Friday I’d love to hear how The Kaiser Chiefs were-leave me a comment.